A STARVING dog was left eating bits of glass and old batteries in desperate attempts to satisfy his raging hunger. 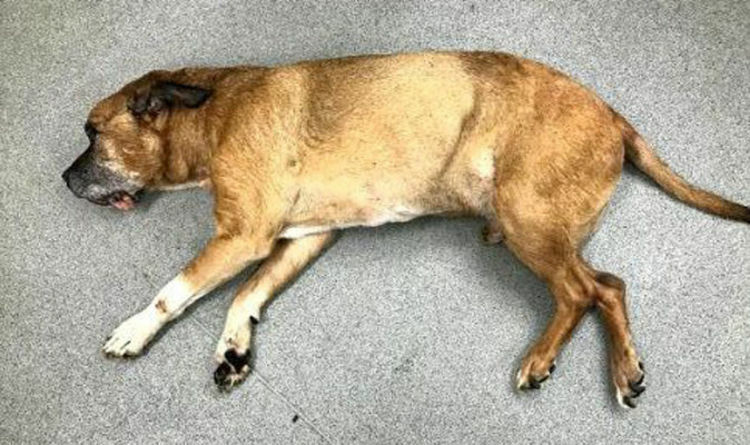 Shocking images of the emaciated pet show why an RSPCA inspector was left describing him as the “thinnest dog ever seen alive”. The pitiful animal’s ribs can be seen clearly poking through his fur and he was so weak when rescued that he promptly collapsed. 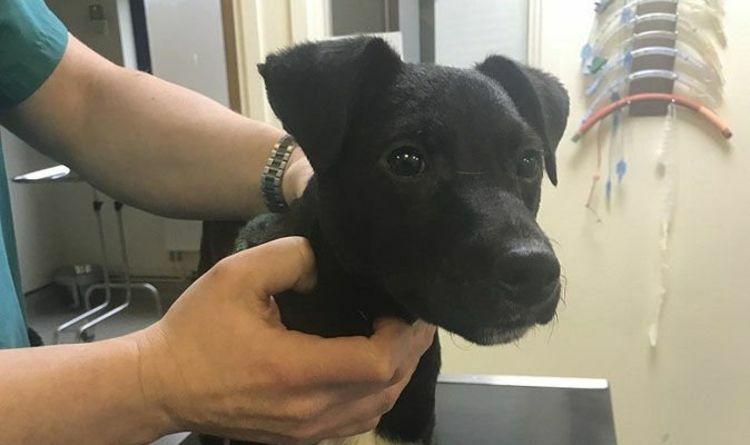 Now with the name of Eric and having been given round-the-clock care, he is on the road to recovery while an investigation has been launched to trace his owners. 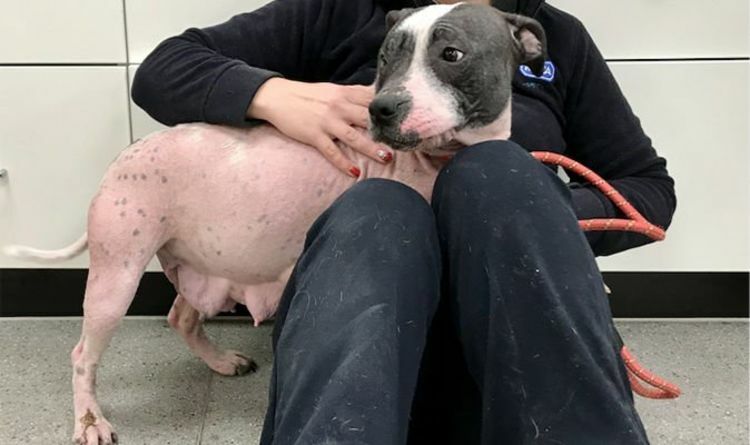 Read also: Dumped dog showing off yellow-stained belly from living in filthy cage (Image: RSPCA) Inspector Melvin said: "Staff discovered health problems which indicate he had been kept in a cage for a long time. 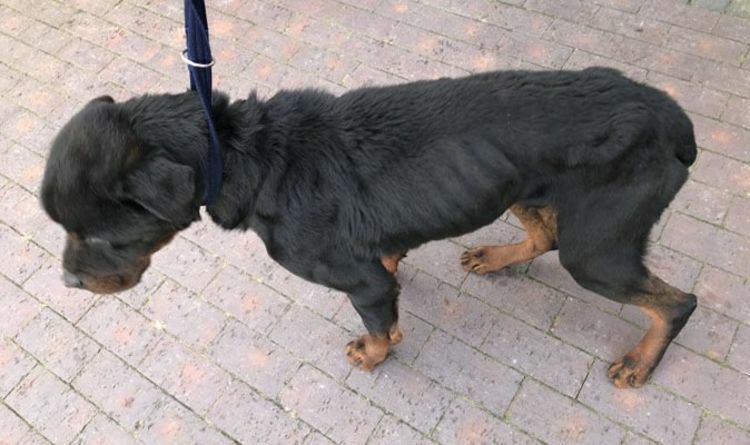 Eric, a bull-breed dog with dark brown patches on his white coat, could not stand or lift his head when he was found by a member of the public languishing in the garden of an empty house in Ribblesdale Avenue, Accrington, Lancashire, earlier this month. 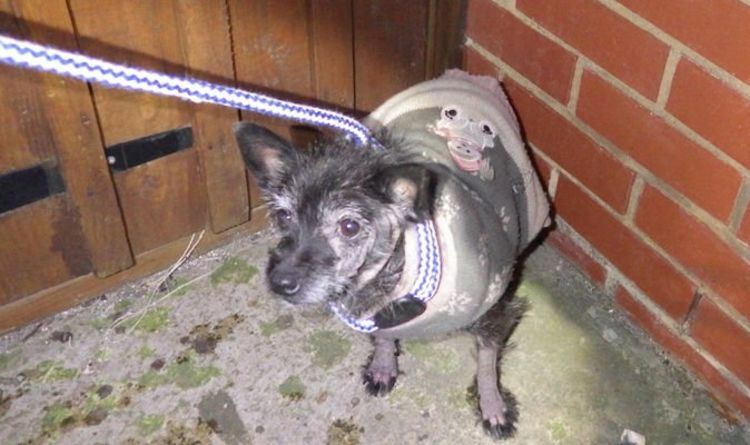 RSPCA Inspector Nina Small described Eric’s pitiful state, explaining today: “As well as being the thinnest dog I’ve ever seen alive, he had very overgrown nails and was absolutely covered in urine. Eric had to be wrapped in metallic thermal blankets to keep him warm when he collapsed moments after being rescued. 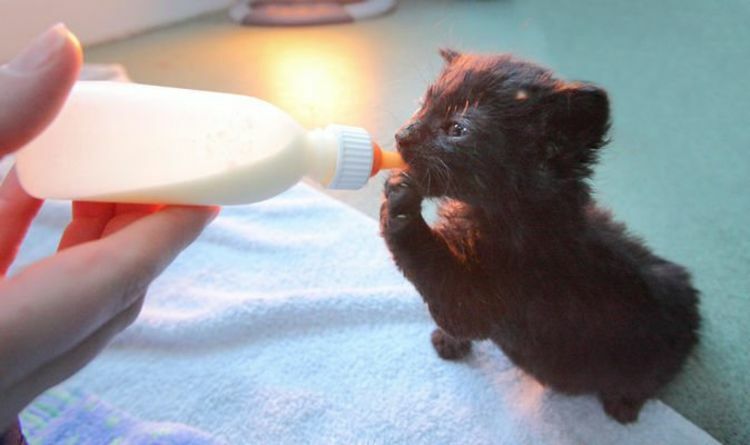 Images show his claws were so long they curled over. Inspector Small added: “The finder was walking his daughter back from a local park when he saw him, and went back to get him. I have made enquiries locally, but no one recognises Eric. 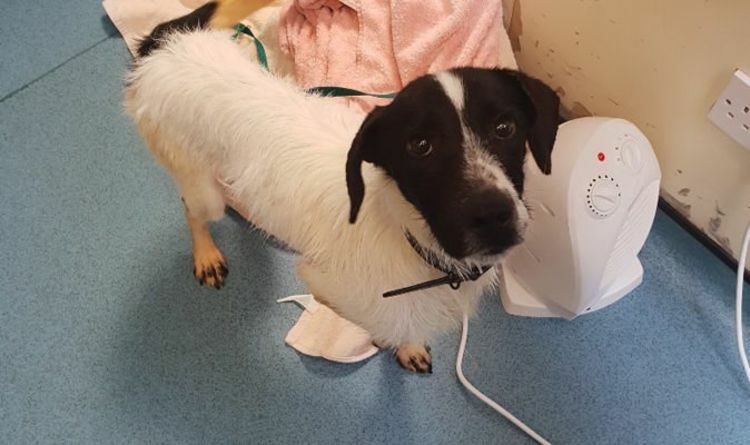 He isn’t microchipped, as is required by law, and has not been reported as a stray to the dog warden, so at the moment there is no way of tracing his owner. 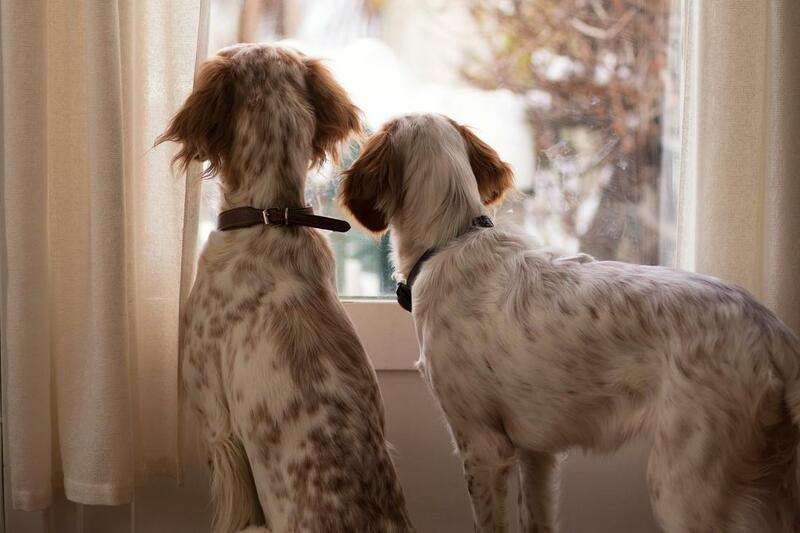 Use baking soda to get dog urine out of carpet. If you don't happen to have a product like Nature's Miracle on hand (maybe you're traveling or at a friends house), pour some baking soda over the spot, let it sit, and then sweep or vacuum it up. Eric was kept in an animal hospital for a week for emergency treatment after his rescue and is beginning the road to recovery, although he still looks extremely thin in new photographs taken this week. Inspector Small continued: “Eric’s put on nearly a kilo and he’s now able to stand and can take a few steps. It’s looking like he’s turned a corner, but he still has a long way to go. 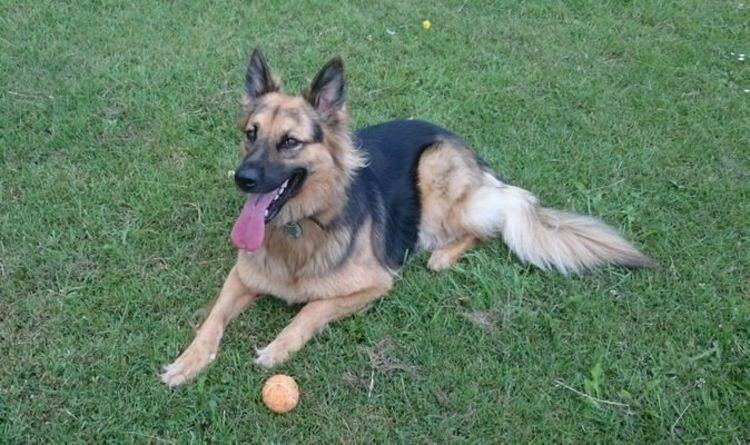 Anyone with information that can help the RSPCA should contact the charity’s confidential appeals line on 0300 123 8018.